Displaying the Safe Person Decal indicates your desire to be a safe person for others. 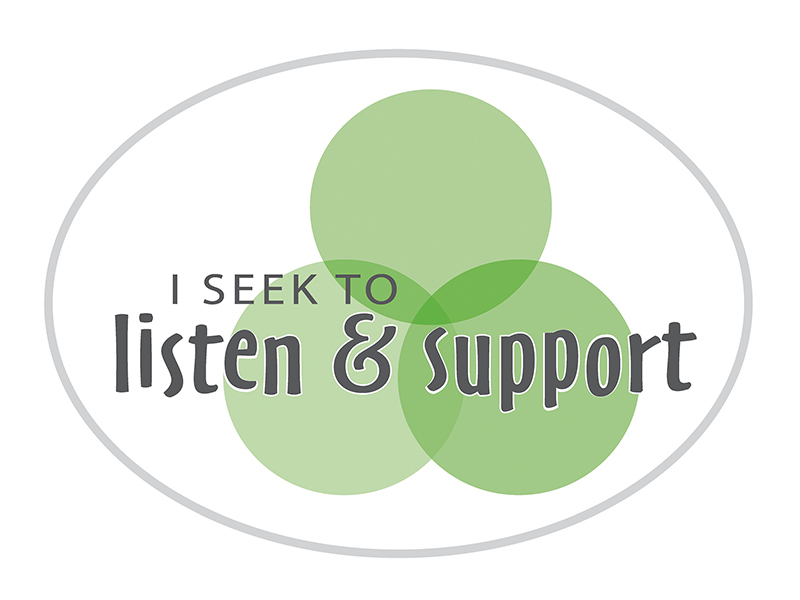 In doing so, you promise to listen and support by observing the Safe Person Decal 7 Promises. Acknowledge that reaching out for support is a strength. Welcome the person by recognizing the strength it takes to speak up. They may feel nervous or unsure, so reassure them that this is a positive step. Express your own gratitude for their trust in you as someone who can offer support. Listen without bias by recognizing that the person’s feelings are legitimate, even if you’re struggling to understand their perspective. Give their vulnerability your full attention and care in culturally appropriate ways. You may have an emotional reaction to what you’re hearing. Remind yourself that your feelings can be addressed afterwards. Wait until the person is done speaking before you respond. When you do, offer realistic reassurance. Exhibit acceptance, empathy, and respect. Reflect back the feelings, strengths, ideas I hear when listening. Repeat or rephrase what you heard in order to check for understanding. Call attention to concrete examples of their resilience and strength. Listen for action they believe would be helpful and are ready to take. Ask how I can be helpful and respond as I’m able. Ask how you can help. If the person asks for your input, make suitable suggestions. Follow through if they accept your offer. If you aren’t able to help in a way they propose, let them know, and work together to find a compromise. Do what I can to connect to other supports if asked. 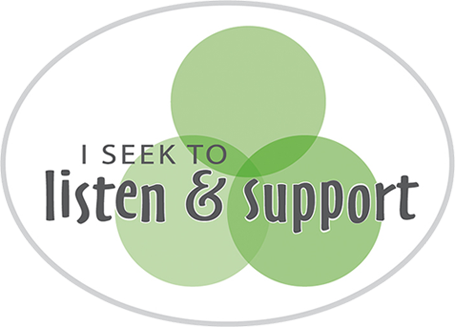 Ask if the person would like to hear about other supports before you offer. If they accept, connect them to outside resources that may offer further assistance. Maintain confidentiality and communicate if exceptions exist. As a rule, maintain confidentiality. If you feel you’re the sole source of the person’s support, ask if there is someone you could engage in supporting them as a team. Inform them that, while you respect their rights, their safety is your top priority, and you will take action to ensure it if necessary. If your professional ethics require you to take such steps, inform them early in the conversation. These skits potray students from Sussex Hamilton High School and Milwaukee Public Schools, all demonstrate the 7 Promises and a Safe Person’s commitment to offer a listening ear and effective support when able. The Safe Person decal was designed and launched by WISE. Use of the decal is free and encouraged. Please include the Seven Promises and link to the seven promises page when using the decal.